By AINSLEY O'CONNELL for FastCompany: When hobbyist drone pilot Michael Kolowich ordered his Cinestar-8 octocopter in 2013, he traveled from Boston to Montana, where it had been assembled, to pick it up. "I went up there for four days of training in how to fly it safely, how to get great shots with it, the ins and outs of the platform," he says. "It really did take that much training to get the most out of it." How the world has changed in just two years. "Almost every serious video drone then was somewhat custom-built," he says. 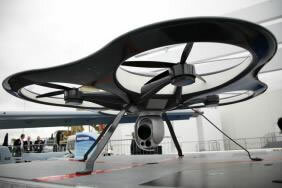 Now, for a fraction of what Kolowich paid, aspiring drone pilots can pick up a "serious" drone at their local Best Buy. The drone community, circa 2015, is at an inflection point, with DIY tinkering giving way to mass-market distribution. "A year or two ago it was far more custom builds. Now you see it standardizing quite a bit," says Dan Burton, CEO and cofounder of Dronebase, an online platform for booking commercial drone services. Burton was first introduced to drones while serving in the Marines; after returning to the U.S. and attending business school, he began helping commercial drone pilots manage their financials. Dronebase, which effectively allows pilots to outsource their sales and operations, is a natural extension of that hands-on experience.